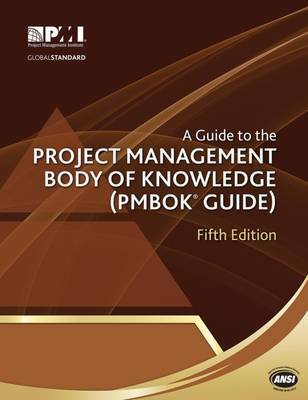 A Guide to the Project Management Body of Knowledge (PMBOK (R) Guide ) - Fifth Edition reflects the collaboration and knowledge of working project managers and provides the fundamentals of project management as they apply to a wide range of projects. This internationally recognised standard gives project managers the essential tools to practice project management and deliver organisational results. A tenth Knowledge Area has been added; Project Stakeholder Management expands upon the importance of appropriately engaging project stakeholders in key decisions and activities. Project data information and information flow have been redefined to bring greater consistency and be more aligned with the Data, Information, Knowledge and Wisdom (DIKW) model used in the field of Knowledge Management. Four new planning processes have been added: Plan Scope Management, Plan Schedule Management, Plan Cost Management and Plan Stakeholder Management. These were created to reinforce the concept that each of the subsidiary plans is integrated through the overall project management plan.